But unlike the shady mechanic who attempts to change your engine air filter every oil change, replacing the timing belt is absolutely crucial. The timing belt is an integral part of your engine and, if it fails, so does your engine, causing your car to shut down. 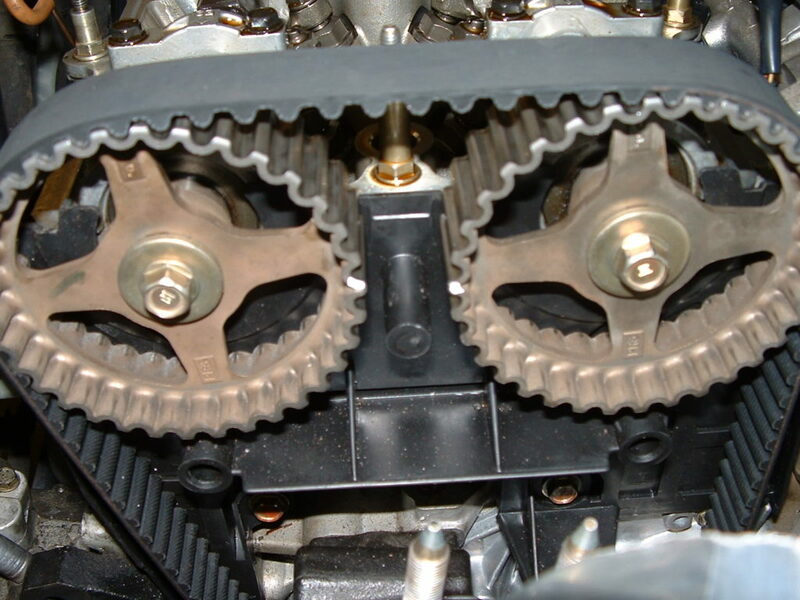 The rubber timing belt is part of most internal combustion engines and is responsible for synchronizing the engine’s functions. It controls the rotation of the camshaft and crankshaft and the opening and closing of the engine’s many valves to allow air and gas in and out, which causes the fuel to ignite in the combustion chamber. During this explosion, the valves push the pistons down. In order for the process to take place, the valves have to open and close at the right time. The valves have to be in the correct position as well as the pistons. The valves open at different times for each cylinder. When the timing belt breaks, the valves, which are very light, will open at the wrong time and hit the larger pistons and cause damage. Unfortunately, in most cases, there are no obvious signs the timing belt is near death; it will just break. That’s why highly rated auto mechanics recommend replacing it every 60,000 to 100,000 km. Always check your owner’s manual for the manufacturer’s recommendations. 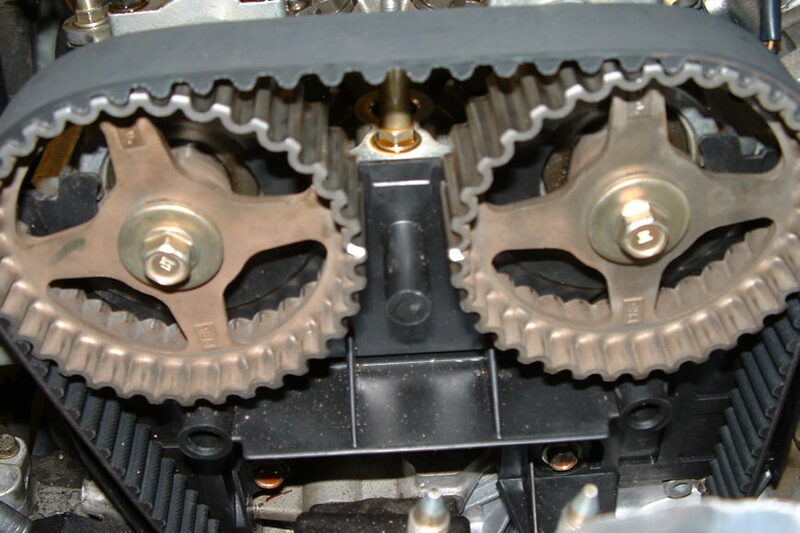 Timing belts used to be a relatively ignored maintenance item by many drivers. During a timing belt replacement we always replace the water pump to be preventative. Generally a water pump isn’t far from failure, when a timing belt replacement is needed. It saves you money as you’re not paying for a repair twice, since the water pump is often accessible because of the timing belt replacement. Replacing a timing belt for preventive reasons typically costs $500 to $900. However, replacing a broken timing belt may cost up to $2,000 or more if it caused damage to the valves, pistons or water pump.